Gnarly: complex, messy and often showing unpredictable behavior. It’s a great word to describe Big Data, the tsunami of information that threatens to bury organizations, regardless of their size or industry. There are two things you must know about Big Data. 1. It’s really many kinds of information. We’re not just talking about easy-to-use data that you find in databases. Big Data also includes information in email and EDI messages, images, videos, style sheets, sound files and many other formats. 2. It’s everywhere, and there’s lots of it. Here’s a great example of Big Data: Think of all the web activity created by all Facebook, Twitter, Spotify and Google users from the beginning of these apps to this moment. Collect all the information that these users created. This includes the information itself and all related quantitative and qualitative attributes (number of tweets, site visits, types of words uses, sentiments exhibited, etc.). It’s all part of the raw, messy lump we call Big Data. This unstructured (hard-to-use) and confusing data is then placed on a network of computers, by either using processing power or the data itself. Let’s focus on a much smaller sample of customer information, a few hundred records from a database. With this very manageable amount of data, you can use Excel to analyze patterns and behaviors. But small samples of data require assumptions and leave room for errors. You can’t see the full picture. When you use tools designed to handle Big Data, you can find and interpret all available data and create a 360-degree view of your customer. Big Data technologies such as Hadoop accelerate this process. You can see exactly how your customer reacts to your product at a given moment in time. And, you can connect directly to data sources and create an insightful report almost in real time. Which Businesses Can Use Big Data Tools? Big Data tools (and there are many of them) can be used by companies of any size, industry or level of business maturity. Some notable industries that have taken advantage of these tools are: healthcare, telecommunications, manufacturing, retail and entertainment. Now that you’ve learned the basics and importance of Big Data, here’s a collection of use cases from Hortonworks. The profiled companies have successfully implemented Big Data technologies to get the competitive edge. Their stories might address organizational questions that you thought were impossible to answer before. This Big Data analytics-driven company is solely dedicated to the U.S. Latino market. It delivers actionable insights to advertisers targeting Latino consumers. By using the Hortonworks Data Platform (HDP), the company captured eight times more data than previously and speeded up processing time from hours to minutes. Luminar increased its performance and reduced its response time by storing and processing all related customer data on HDP. This enabled the company to get sample data from its target demographic and collect all transaction data created by consumers. Founded in 2009, UC Irvine Health and the university’s Clinical Informatics Group were tasked with supporting the university’s medical research and clinical work. By implementing Hadoop and HDP, UC Irvine Health improved its clinical operations. They took advantage of HDP technology, which enabled them to store all their patient data in native form. With the platform, the organization can quantify important aspects of the medical practice and help patients (their customers) by live tracking vital stats, reducing readmissions and improving overall patient satisfaction. This telecommunications information and analytics business could only capture 1 percent of its network data and retain it for 65 days. By implementing HDP, the company can now capture all of its data and retain it for two years. 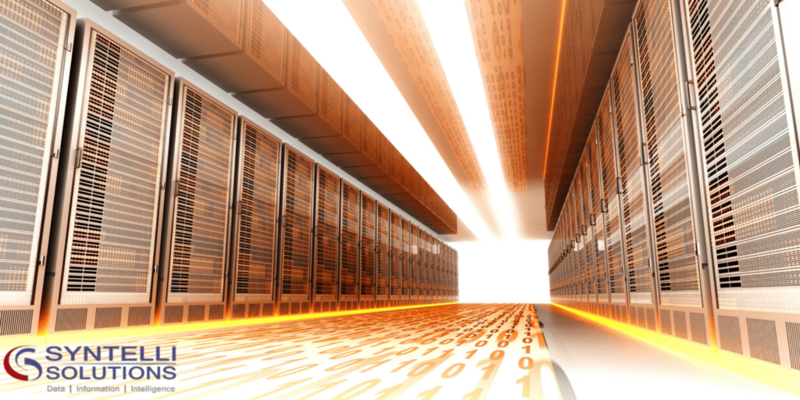 Neustar got more storage for its data at a less expensive rate and improved its data agility. This enabled company data analysts to access all of the data in its purest form. As a result, Neustar saved millions in costs and got access to more data, which led to more and better insights for company clients. Discover how your Big Data story can have a happy ending. Contact us at info@syntelli.com or call us at 1-877-SYNTELLI today.